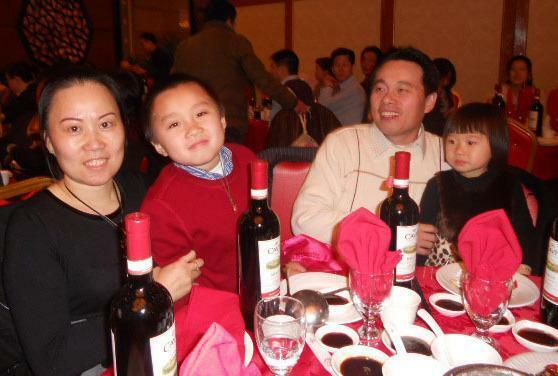 Kong Xin Chen with his wife, Ping, son, Jason, and daughter, Grace. Chen is being held on an 18-year-old deportation order. Regular customers and friends of a popular Marshfield restaurant owner are rallying to stop the government from sending him back to China, which he left nearly 20 years ago, so he can remain here with his wife and two small children and continue running the restaurant. Federal agents arrested Kong Xin Chen, 38, at his Mandarin Tokyo restaurant on Dec. 6 on an 18-year-old deportation order. He is being held at Etowah County Detention Center in northeastern Alabama, 1,160 miles from home. Spokesmen for US Immigration and Customs Enforcement said yesterday that they were unable to comment on the case. Goldstein said he knew of nothing that instigated the arrest. He said Chen is a law-abiding family man who pays his taxes, participates in his community, and was unaware that he faced deportation. The order was issued automatically because Chen failed to show up for a March 10, 1994, hearing in New York on his request for political asylum, Goldstein said. He said that because of poor communication, Chen neither knew to attend the hearing nor its outcome. Chen had fled hunger in China in 1993, arriving eventually in New York City. Goldstein said he did not know the details of how Chen left China, got to New York, or on what grounds he applied for political asylum. He said Chen got a Social Security card when he applied for asylum. Chen then moved to Boston and worked in restaurants in Chinatown. He met his future wife, Ping, who had left China in 1999 and become a US citizen. They married in 2003, moved to Quincy, and after their first child was born looked for a restaurant to buy. They found one in Marshfield’s Green Harbor and have run Mandarin Tokyo since 2005. Regulars at the restaurant have rallied behind Chen, writing letters in support and creating a website - freekongnow.com - to spread the word. They plan a benefit for March 24 at the Marshfield Elks Lodge to raise money for the family and for legal expenses. Organizer Lynne Ann Habel-Murphy, a Marshfield resident, said she has always admired the Chens. “They’re one of the few Chinese families [in Marshfield], and it’s not the easiest town to break into,’’ she said. Chen’s wife said he had no family or friends left in China. His parents are in the United States legally and live with her family, Ping said. She said she is grateful for all the support from Marshfield residents. Ping has been able to keep the restaurant going with help from family, but said she does not know how long she can continue. She hopes her husband will be home for their son Jason’s eighth birthday next month. Their daughter Grace is 3. Ping said the children keep asking where their father is. Goldstein said he plans to ask the government to use “prosecutorial discretion’’ and defer action on Chen’s case. He also said he hoped Chen can benefit from President Obama’s policy to not focus on low-priority cases for deportation but instead to focus on people with criminal records or who threaten national security. “This would be a great test case’’ for the policy, Goldstein said.